The Bathroom may have been a rather neglected room in the house in the past, a room to which the door was always firmly shut and visitors only allowed as a matter to necessity. But today we see it as a vitally important a room in our home, and a great opportunity for clever design and stunning decoration and finishes. To some, it is definitely the most important of all rooms. 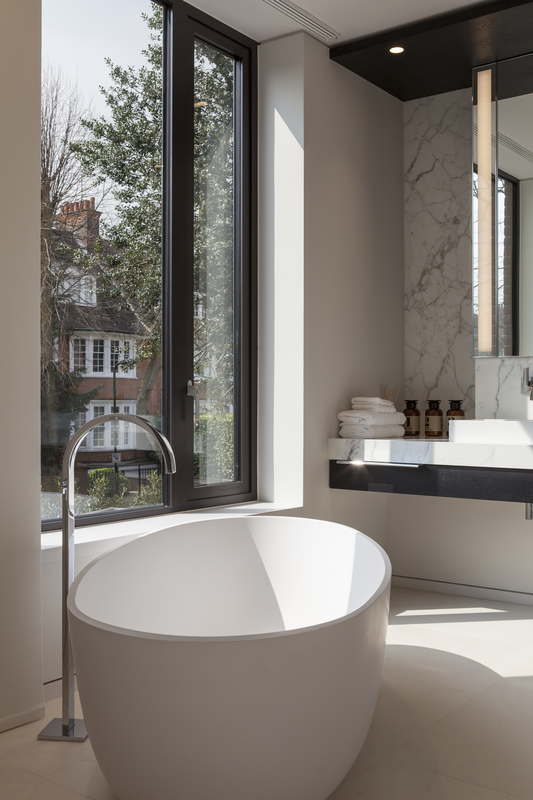 Now thought of as a room to spend quality time, the bathroom can be a place of solace – a haven from the rest of the family, an area to collect ourselves and fortify before work in the shower, for a spot of mindfulness and ‘in the moment’ preening. It has certainly become a place where we can stamp our personality, for example are you a bath or a shower person? Of course the answer may reflects your lifestyle – do you have time for a long, pampering bubble bath? If not does the bath become a space waster where you could have a top of the range spacious shower? As people are more informed in terms of design for their home (media, press, home sections in newspapers, blogs and the internet) they are aware of the wider choice of products and finishes available, of course there are still beautiful tiles for walls and floors, but now you can also incorporate, wood, stone, metal, glass, plastics, slate, porcelain, ceramics …..the list is endless. 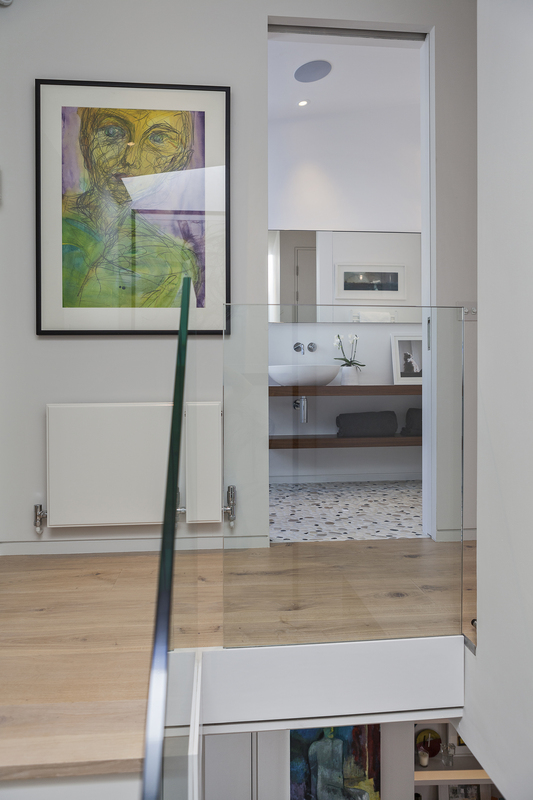 South Hill Park – in this one bedroom apartment in London, a cloakroom and bathroom were placed where there were previously stairs and a landing. 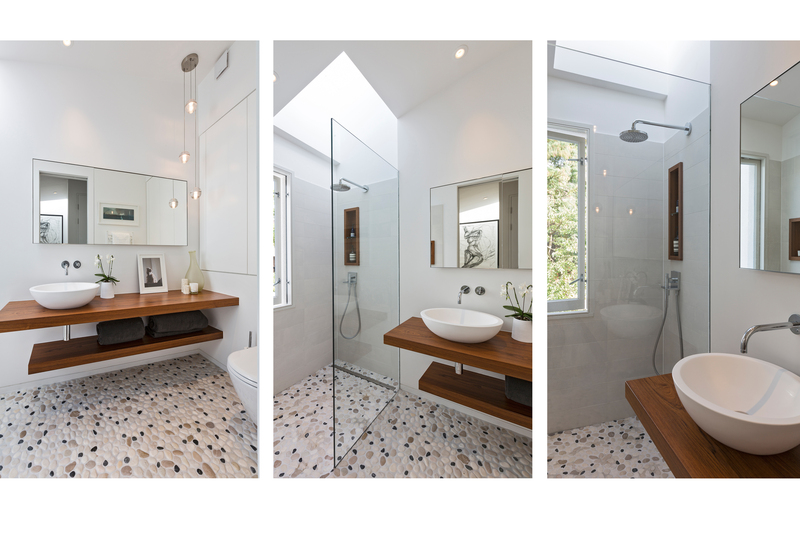 The change in floor level, this was cleverly used to incorporate a sunken bath, giving the impression of more space and taking full advantage of the varying levels. Harmood Street – we took full advantage of the natural light to create the feeling of a spacious openness warmed up with the addition of wood finishes. See also the use of contemporary lighting. 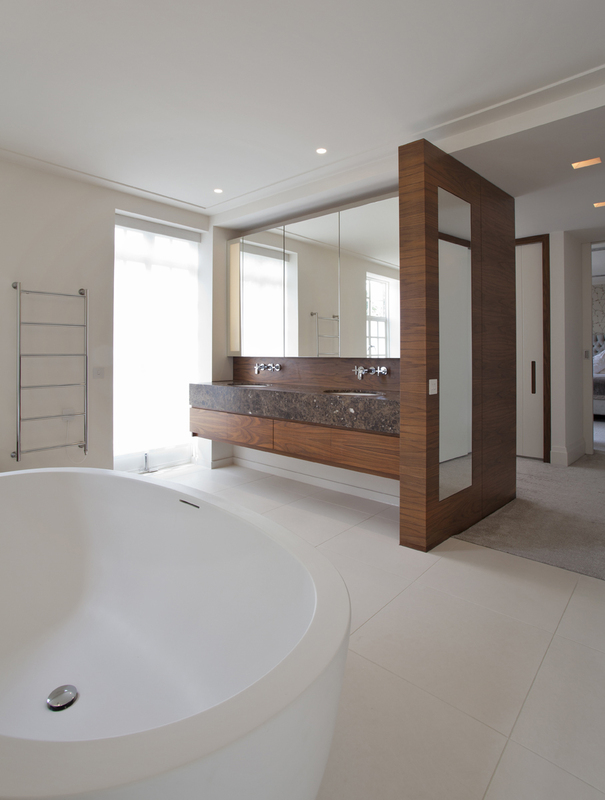 We also placed the bath in the master bedroom – why not?! 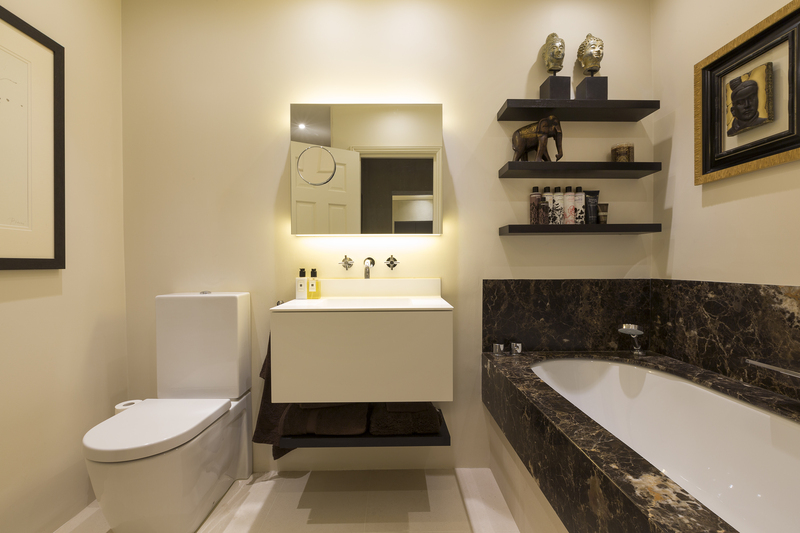 Creating a sense of luxury and also frees up space in the bathroom. Peasburge Barn – here we celebrated existing features (e.g. 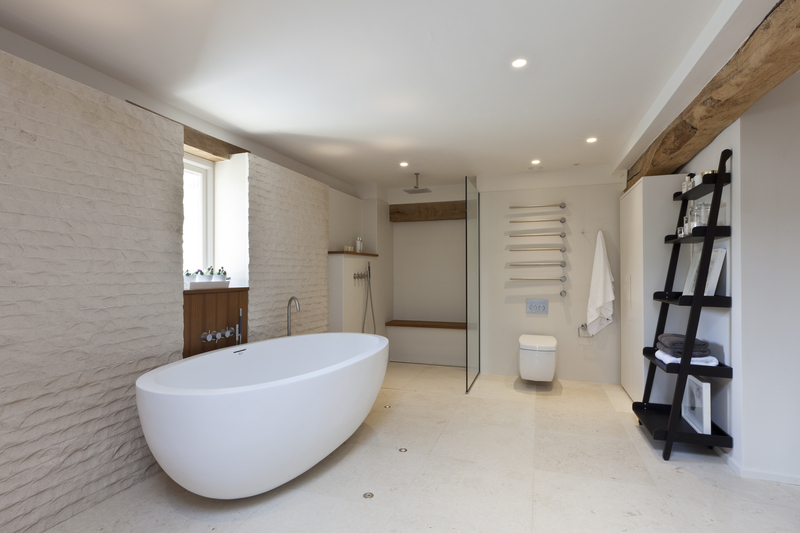 beams etc), the finishes used are in keeping with the period and feel of the property, with wood finishes throughout.A beautifully textured limestone creates a feature wall beside the bath. We can also see how the bathrooms sit within the context of the rest of the property. 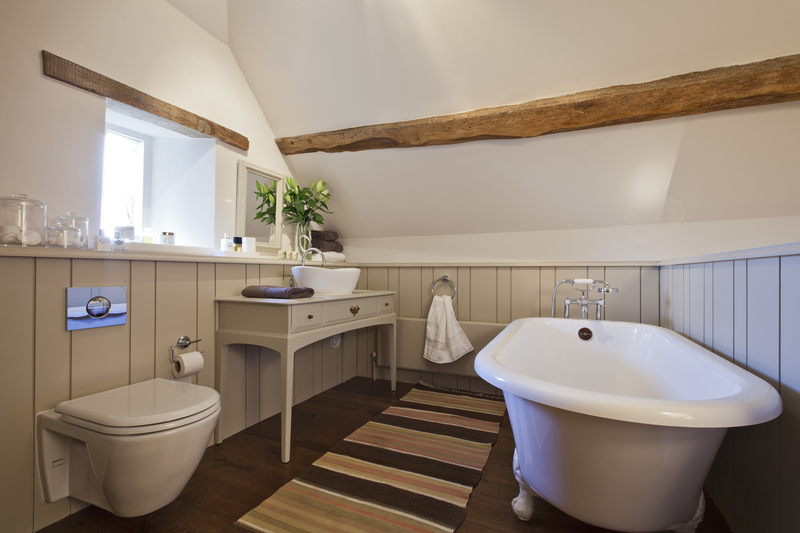 Within the old barn, we also created a more traditional feeling bathroom. Hampstead Hill Gardens – bringing personality and art into the bathroom. A mix of marble, stone and marron glacé finishes work beautifully with the client’s artwork and personal items. 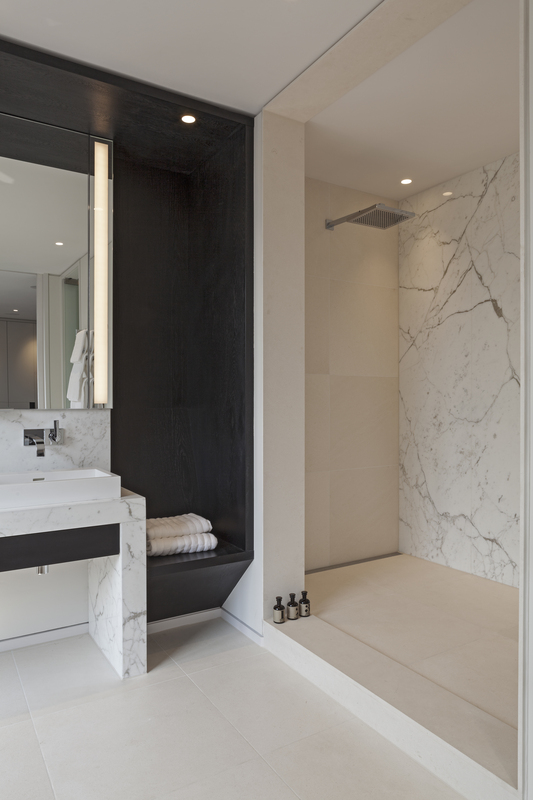 Redington Road – a beautiful freestanding bath, and an example of a variety of materials used within one space, we have used marble, stainless steel, limestone tiled floor. Also note the large open shower space. Be confident in your own tastes and choose what you like, but remember that a new bathroom is an investment and so you will want to live with it for years to come. Current trends and fads can date quickly. Clever use of colour and texture can bring a scheme together, but pairing different styles together must be carefully considered to unite all the elements as a whole. Where are your Services!? Everything in a bathroom must be very carefully placed. Accurate measurements are essential! 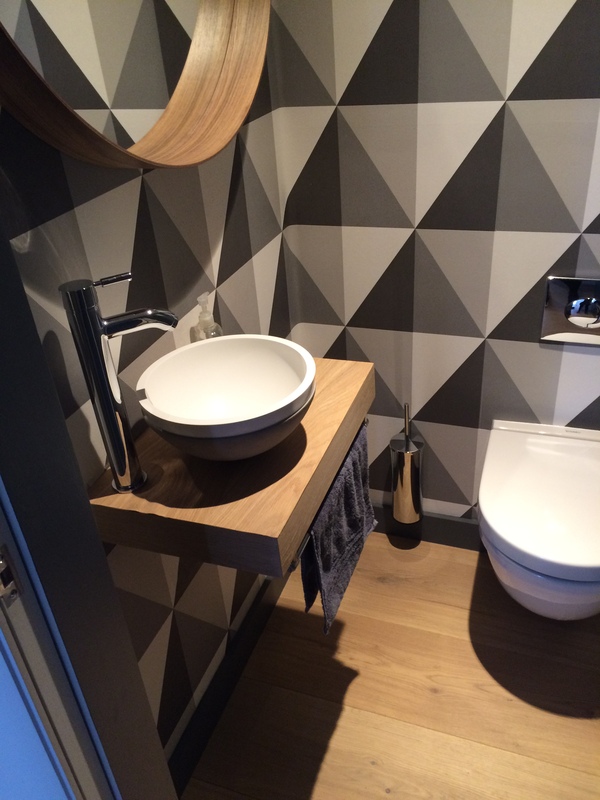 It’s best to employ an experienced plumbers and designers if you are making some significant changes to the layout of your bathroom. Take time to assess your daily and weekly routines. How do you actually use your current bathroom? How do you move around the space and which facilities are most important for you? For example if you and your family are always fighting for use of the bathroom in the morning, should you create a separate toilet and sink space to the rest of your bathroom, do you need a double vanity sink so you and your partner can get ready at the same time. Don’t forget about the final details, these may help your bathroom look cleaner, newer and more expensive! For example, what grout colour is best? Don’t be scared to experiment with something different but do consider that the moisture and humidity created in the bathroom will affect the paint, fabric and finishes you can use. Always great to start with a Pinterest page to get your ideas together. You can also share these with friends and family so everyone can contribute their ideas to the look. Designers Guild have recently launched a Mood Board facility online. Take photographs of bathrooms you like, I am often inspired by bars and restaurants as more often now they incorporate really interesting finishes to their designs and can sometimes make really good use of small spaces. Ask around and do your research – who would the people you know recommend? It’s usually best to act on a recommendation (contractors and suppliers) rather than finding the first person you discover online.